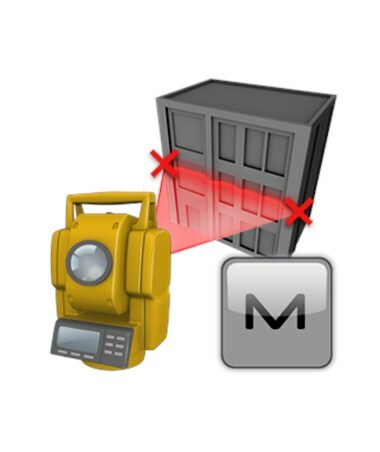 Topcon MAGNET Field Layout is a customized version of MAGNET Field software that increases building layout productivity for surveyors, builders and layout professionals. With in-the-field plans and dimensional entry, this field software was designed to manipulate collected data from survey projects and transfer paper plans into accurate layout. Packed with powerful applications, such as layer management and building pad tools, MAGNET Field Layout allows you to quickly layout survey projects and get dimension between two points. It also has a tool for manual data-entry of building pad perimeters, forms and excavation lines. Regardless of terrain, weather and other jobsite restrictions, you can layout and calculate any point or line on the screen’s live map feature and view a summary of multiple point selections using modern equipment such as a total station or data collector. Use this field layout software with the optional MAGNET Enterprise and AutoCAD 360 and enable other crew members to visualize, edit and share field projects through a secure Cloud-based management tool. This ensures that the latest project information is available online and allows you to connect to any active project, select a field crew and view the field activity and data in real time. For easy preparation or review of your data, you can exchange project files between MAGNET Field Layout on your data collector and MAGNET Office Layout on your desktop or laptop. You can also transfer data to other CAD software packages easily using industry-standard file formats. Take advantage of Cloud storage by selecting MAGNET Field Layout Solution 12 Months from the drop down menu in the upper right hand corner of this page. Whether you are looking to layout cable runs, building corners or a pipeline, MAGNET Field Layout has a simple user interface that displays layout information and basic measurement tasks on your total station or data collector’s screen. This surveying software was optimized for Topcon and Sokkia’s data collectors and total stations, such as the Tesla, Mesa, FC-2600, SHC2500 data collectors and the CX, DX, ES and OS series total stations. This Topcon software package comes with MAGNET Field Layout.